In the wake of John McCain’s death, the country — and even more surprisingly, our nation’s capital — experienced a few blessed days when partisan rancor was washed away by tears of grief and love of country. Then came Tuesday, when the bitter divisiveness that has defined Washington in recent years returned with Senate confirmation hearings for Supreme Court nominee Brett Kavanaugh. Who was following whose lead is open to debate. But what’s clear from the opening salvos is that Democrats have launched a no-holds-barred approach to blocking President Donald Trump’s second Supreme Court nominee. Meanwhile, the Trump administration’s last-minute release of 42,000 pages of documents regarding Kavanaugh’s service in the White House under President George W. Bush and the claim of executive privilege hasn’t given much comfort to those who want a full vetting of the nominee. Trump nominee Neil Gorsuch was confirmed by the Senate in April 2017 after the Republican-controlled Senate refused to consider President Barack Obama’s 2016 nomination of Judge Merrick Garland to fill the seat of the late Antonin Scalia, long seen as a conservative standard-bearer. As we wrote in March 2016, Senate Republicans’ refusal to give Garland a full hearing “shamed themselves and the institution they represent.” But delaying judicial nominees for political reasons is by no means new. In 2001, Democrats successfully blocked President George W. Bush’s nomination of Miguel Estrada to the U.S. Court of Appeals for the D.C. Circuit for over two years. Estrada eventually withdrew without a vote. Senate Democrats are at least fulfilling their constitutional duty to offer “advice and consent” and most likely, given Kavanaugh’s undeniable qualifications for the nation’s highest court, there will be a full vote on the Senate floor. 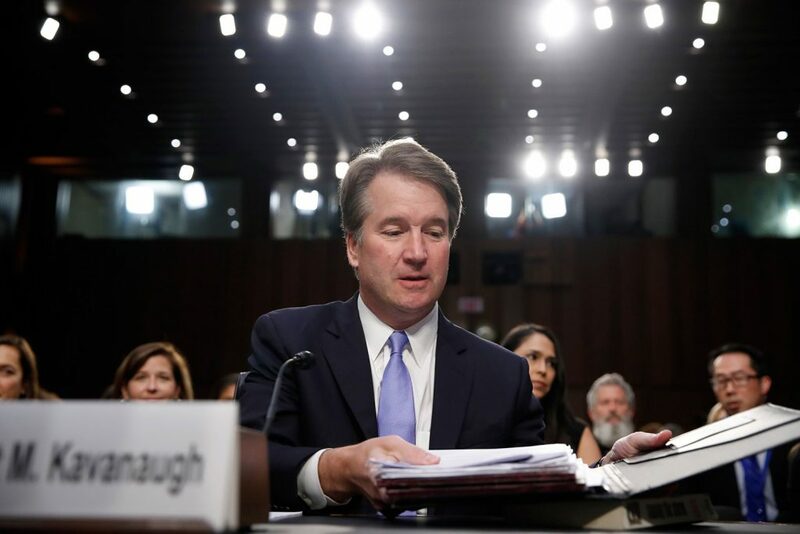 But, as with Judge Robert Bork, President Ronald Reagan’s 1987 nominee, Democrats are hoping to paint Kavanaugh, a devout Catholic, as dangerously out of touch with mainstream America, especially with reproductive rights as decided in Roe v. Wade, the 1973 Supreme Court decision that recognized a woman’s constitutional right to abortion. These statements take on increasing importance given special counsel Robert Mueller’s ongoing probe of Russian interference in the 2016 presidential campaign. On Tuesday, amid partisan sniping and grandstanding, Kavanaugh went on to call Kennedy “a model of civility and collegiality” who “fiercely defended the independence of the judiciary.” All partisanship aside, that sounds like a good model to follow, especially in these uncertain times.